with Just 7-Minutes of High-Intensity Interval Training! In youth athletics, endurance matters. The team with the most energy towards the end of a game usually wins. Lots of youth athletes look AMAZING in the first half of a game, and then things start to fall apart after half time. And tired teams usually don’t play their best. If you want to ensure your team comes out fresh in the second half, you need to start doing HIIT. High-Intensity Interval Training describes any workout that alternates between intense bursts of activity and fixed periods of less-intense activity. It’s Efficient: In fact, our HIIT circuits take just 7 minutes, but your athletes will achieve MORE in 7 minutes than they would running for half an hour. It Improves Cardio Like Nothing Else: Most youth athletes aren’t used to pushing into the anaerobic zone (where it’s actually hard to get out a sentence because you are breathing so hard). But it’s that anaerobic zone that offers amazing results. One 2006 study found that after 8 weeks of doing HIIT workouts, subjects could bicycle twice as long as they could before the study, while maintaining the same pace. It’s Fun: There are lots of exercises you can use for a HIIT circuit, but we’ve designed ours to be fun for kids. 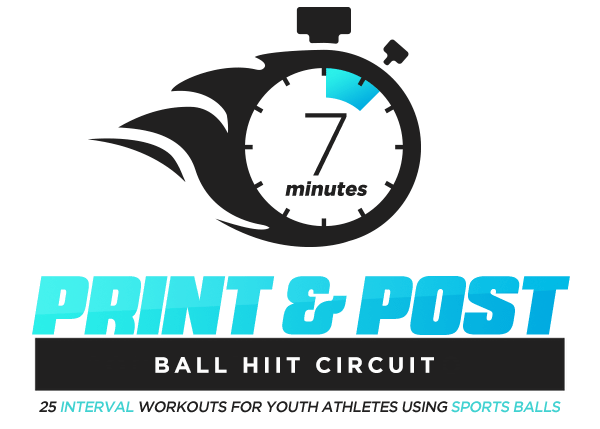 All of our HIIT exercises involve a sports ball (you can use a soccer ball, basketball, volleyball, or medicine ball). The secret to fitting in valuable high-intensity interval training into your practices is efficiency. 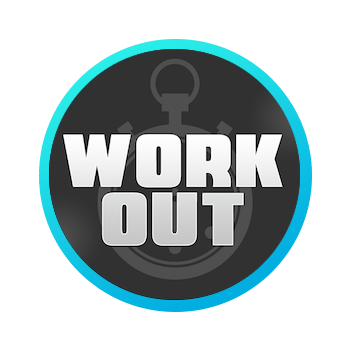 Here’s the big picture: Each workout consists of 7 exercise stations, the kids rotate from station to station every 60 seconds for 7 minutes straight. 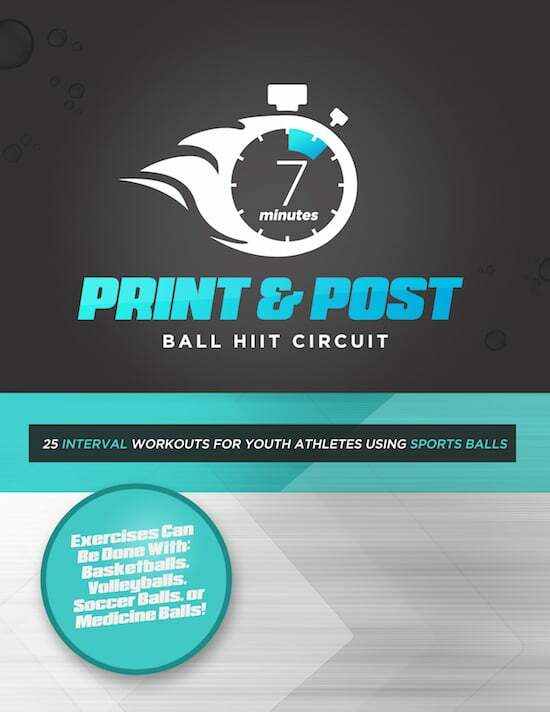 We’ve selected 25 HIIT exercises specifically designed for youth athletes. 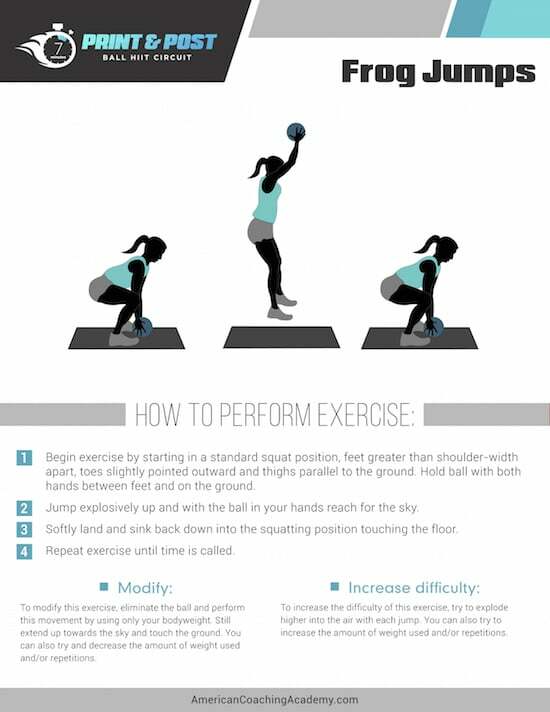 Each workout is comprised of 7 exercises that have been carefully grouped to maximize high-intensity interval training benefits. You can rest assured that the workout design has been carefully crafted by one of the top Exercise Physiologists at the American Coaching Academy. Print out the 7 Exercise Posters that correspond to the workout you selected. Post the exercise posters around your space (gym or field) to make 7 separate “HIIT Stations". If using with a team, divide your team up so that athletes are spread out along all 7 stations. Go around and give a quick demonstration of each drill. On your whistle, the Speed & Agility Workout begins. Have a stopwatch handy and blow your whistle every minute to indicate when athletes move to next station. After 7 minutes, you are DONE! The workouts really and truly take just 7 minutes- so anyone can work them into their practice or day! Your athletes won’t get bored with our workouts. We have 25 different exercise posters, and only 7 exercises show up in each workout- so just about each workout is new and different. 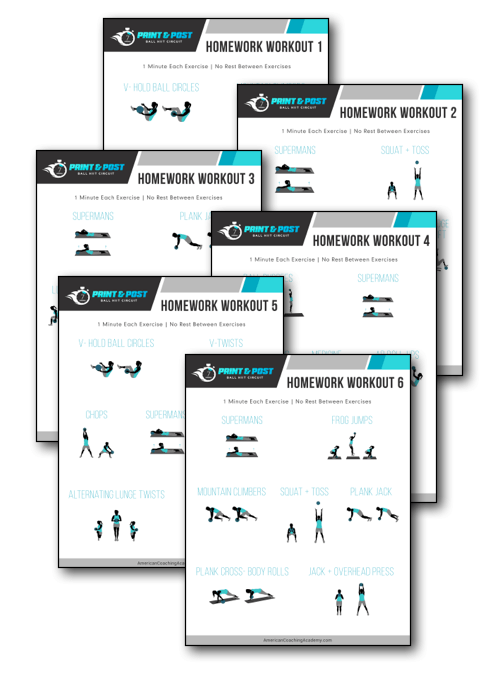 Give your athletes a little extra boost with a "Homework Workout". These 6 printable one-page workouts provide a HIIT Circuit cheat sheet for kids to reference at home. Do you have an athlete that’s lacking in the cardio fitness department? Assign them a homework workout to perform outside of practice. 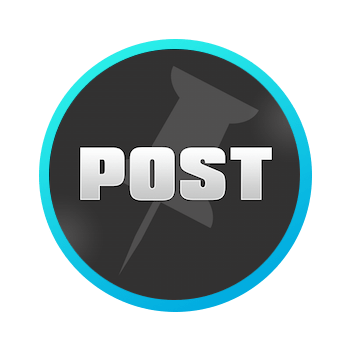 Did your team seem tired at the last game? Assign the entire team some “homework” to complete the homework workout and have their parents initial the back indicating that they did it. If parents approach you looking for ways they can help their child at home, provide a HIIT workout plan they can easily complete at home! 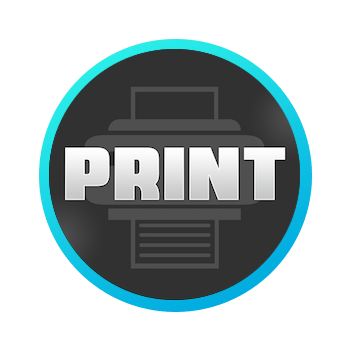 We are so sure that you will love the Print & Post Ball HIIT Circuits that we are offering an unconditional 100% money-back guarantee. No, we feel that all youth athletes can benefit greatly from high-intensity interval training, regardless of what sport they play. It’s up to you! The 25 workouts are 100% turn-key, you don’t have to think about which order you should put the exercises, etc. However, feel free to select any of the drills you like and mix and match to design your own workout. You can also piggy-back two workouts together for added interval training if you have a little extra time. You can do these workouts in gymnasiums or out on the field. The only equipment you will need is one sports ball for each athlete (soccer ball, basketball, volleyball, medicine ball, etc. ).